Content Marketing has become a buzzword of late, and Search engine optimization (SEO) has always been, but did you know that they are made for each other? Developing content that’s not only appealing but also reaches out to the right target audiences needs a careful consideration of the right keywords, and consistent creation of new search-friendly pages. As you might know, this is critical in getting more inbound links (Readers of your valuable content). Let’s remind you that Email Marketing still continues to be a highly cost-effective medium. Not only that; experts believe that it gives you 400% more RoI compared to its nearest contender in cost-efficiency, Social Media. The cost-efficiency of Email Marketing makes it highly scalable, but you need to make sure that you start with a pilot project to learn and refine your Email Marketing efforts. Want more people to read your latest content? You can always send out emails that pull people to fresh content. If your content is engaging enough, people will not only feel like reading it, but also share it with others; thus giving the much-needed initial push to your content. 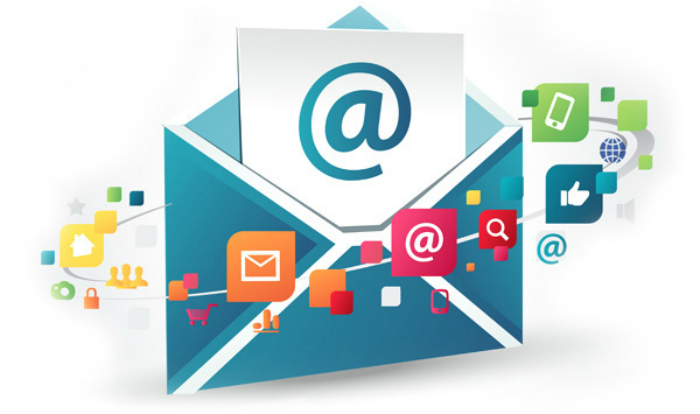 And Email Marketing is simpler than you might think; actually it is possible to start your Email Marketing efforts with free/cheap mailing platforms. All the inspiration you need is a few subscribers to start with, and a great idea that will make people open emails and click on links it contains. While SEO seems easy, let’s admit that it entails time-consuming stuff such as inbound link-building are essential to make your website look like an authoritative source of information. In simple words, if you have a link anywhere online leading to your website then there will be a better chance of your website’s search rank going up. While it’s difficult to find places online to insert inbound links, email is a quick and sure shot way of doing so. If your content is original and worth sharing then readers will share it at various places, increasing your inbound links in the process. Customers who like your product/service and are constantly engaged in your brand are more likely to talk tell others good things about you. Look at it from the perspective of Content Marketing. Emails are a great way of sharing engaging new content with your customers on a regular basis. This helps sustain customer loyalty and facilitates better brand recall. Therefore, email should be an integral part of your Content Marketing strategy. Whenever you post something on your personal social media page, the likes and comments trickle at a slow pace. Imagine how it would be if you could send an email to hundreds of people, with a link to a very interesting post of yours. We are sure you will agree that this will enhance chances of your post getting more likes and comments. Email will have a similar impact on your business’s social media posts. You can influence hundreds of your customers by sending out emails with links to your social media posts embedded. Increasing social media followers and activity might not have a direct impact on your search engine rank, but it will certainly contribute to the visibility of your content. This, in turn, will positively impact your Content Marketing and SEO.